Easy To Use! 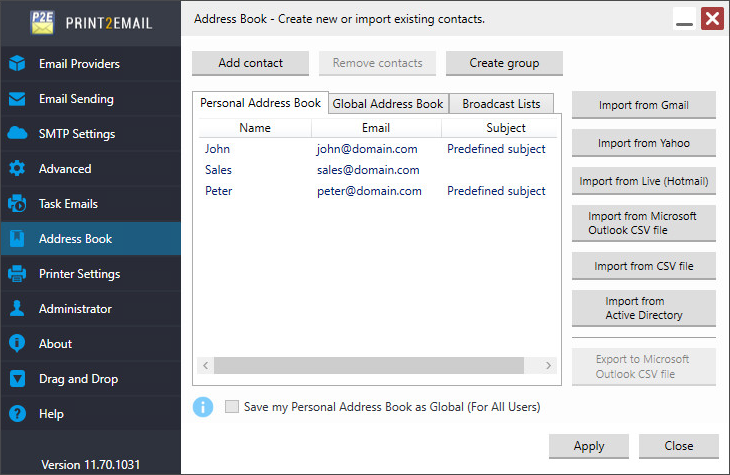 Print2Email has a simple easy to use User Interface. 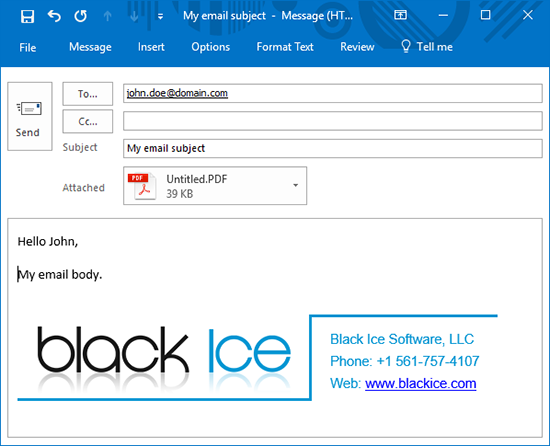 Simply open your document and print the document to the Print2Email printer driver the same way you print to “regular" printers. 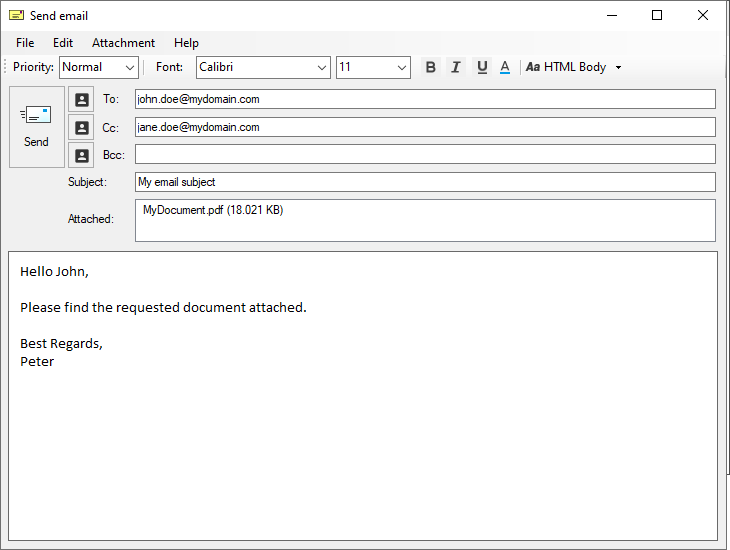 Next, select the recipient(s) you want to send the document to and you are ready to go. 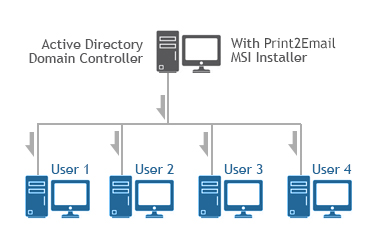 Print2Email Server is licensed per User on Windows Terminal Server and Citrix environments. 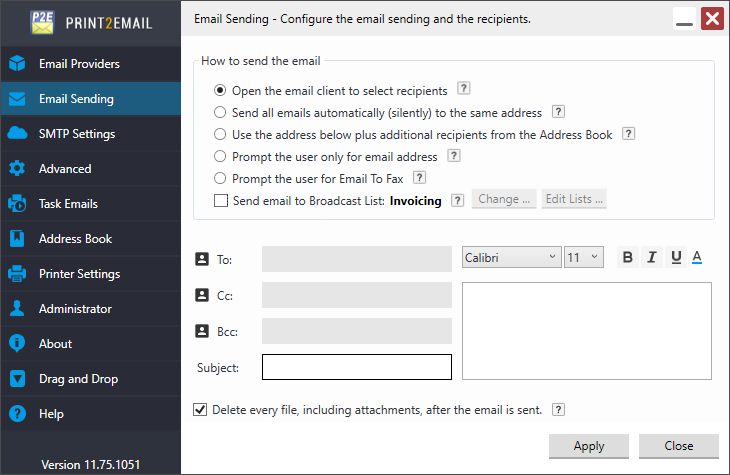 Please see the Print2Email Server pricing. 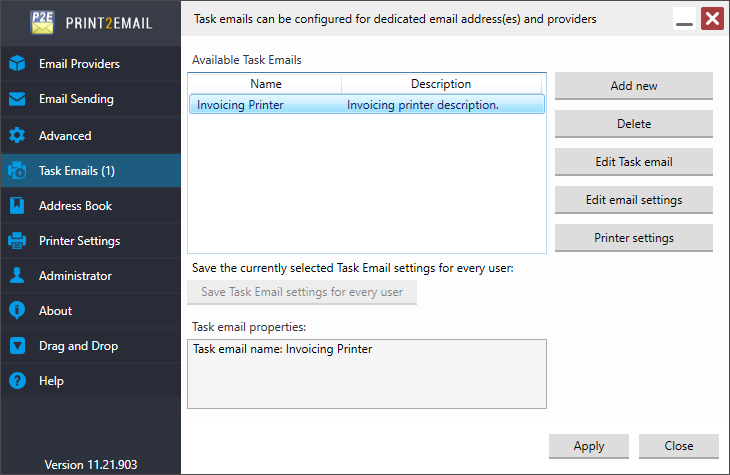 Install the Print2Email for evaluation. 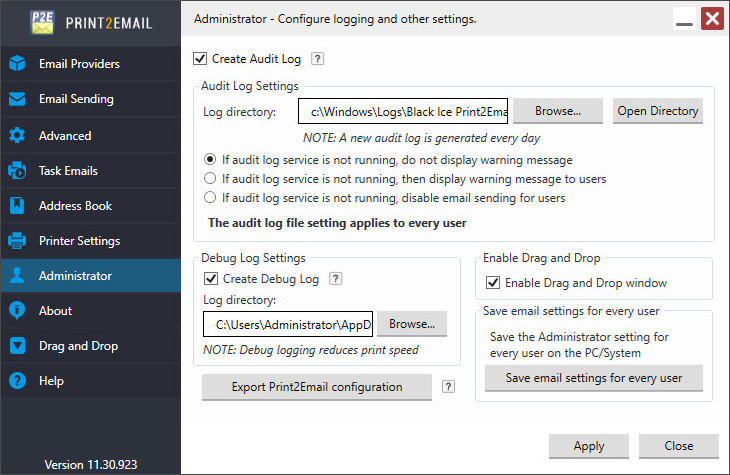 Pre-configure the Print2Email using the configuration ini file. Such as file format, output directory, and more. 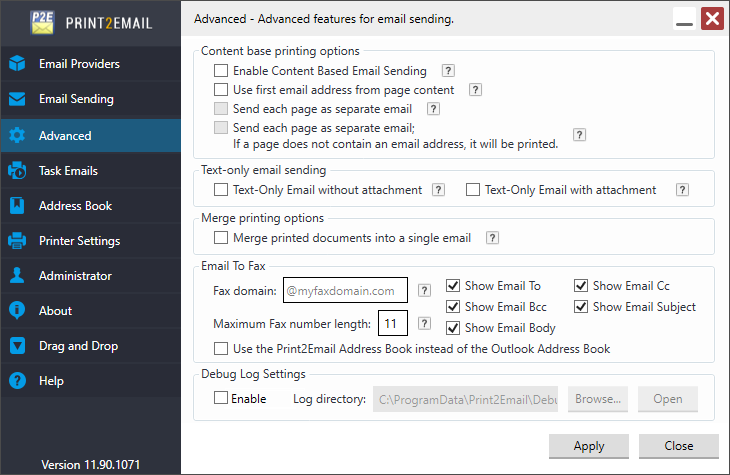 Every feature of the Print2Email can be pre-configured. 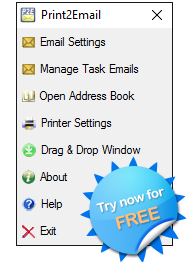 Hide Print2Email Printing Preferences Tab(s) from Users. 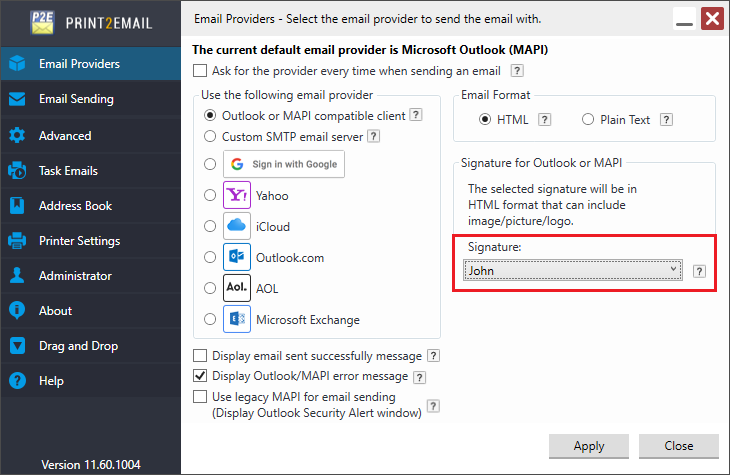 Configure the Print2Email settings for large scale deployments. Such as email settings, recipients, and more. 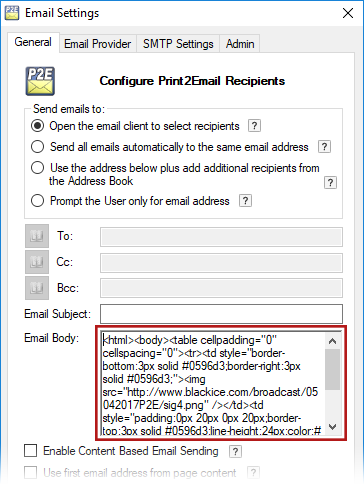 Every feature of the Print2Email can be pre-configured.